Can you see, under the coloured pencils, a yellow post-it note with a square-ish hole cut out? I use this when I want a pupil to work on JUST ONE BAR, for some specific reason. Maybe it’s a rhythm, or a chord, or a leap, which they are getting wrong every week, and sort of fudging and bodging their way through without ever stopping and resolving the problem. It is particularly helpful for dealing with the problem of always having to go back to the beginning of the piece in order to reach the bar with the problem (by which time, as we all know, they have forgotten what it is you have just taught them). So, I will go over the exact learning process I would like them to follow to overcome whatever the technical issue is, and then ask them to Just Do That One Thing for that piece. It came into its own when I was doing a run-through with a young, Grade 2 bassoonist just a week before her exam, and discovered that she still hadn’t cracked a couple of bars of one of her pieces. Well, I’m only the accompanist and have never played the bassoon in my life, but a couple of post-it notes framing the offending bars seemed to give her the focus to fix the problem in time for her exam the next week. 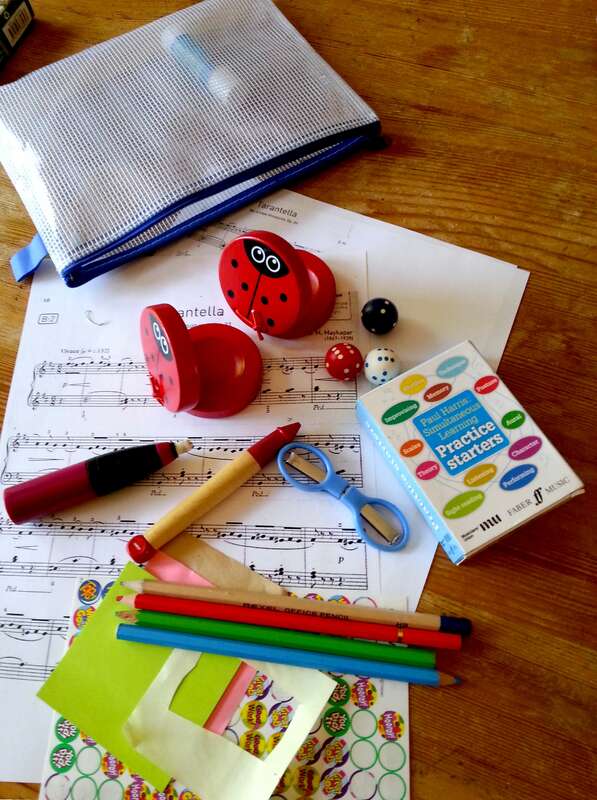 Hence the pad of post-its and the folding scissors in my piano teaching bag. This entry was posted in Learning, Practising, The organised teacher and tagged post-it notes. Bookmark the permalink.